For just €55 per night, you could live like the most powerful woman in Germany – Angela Merkel. Shortly after election results were announced, Airbnb took the opportunity to promote its listing for the two-bedroom Berlin apartment that Merkel once inhabited. 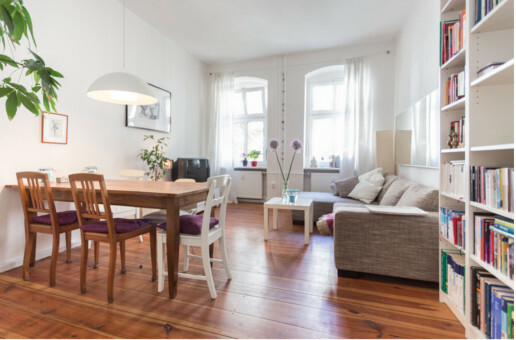 Earlier this month, Airbnb released new numbers on the economic impact of the platform in Berlin’s districts – just as the city’s legislators are considering a ban to prevent the “misappropriation” of housing. The bill, which is expected to pass this fall, could limit the use of residential apartments for commercial purposes, though it’s still unclear which districts would be affected. According to the study – based on a survey conducted between July 2012 and June 2013 by HafenCity University Hamburg and consultants DWIF in partnership with Airbnb – the platform was used by 5,647 local hosts and 119,126 Berlin visitors in the past year. Additionally, it’s estimated that both hosts and guests contributed €100m in economic activity to the German capital during that time. Additional reporting by Nina Fowler.